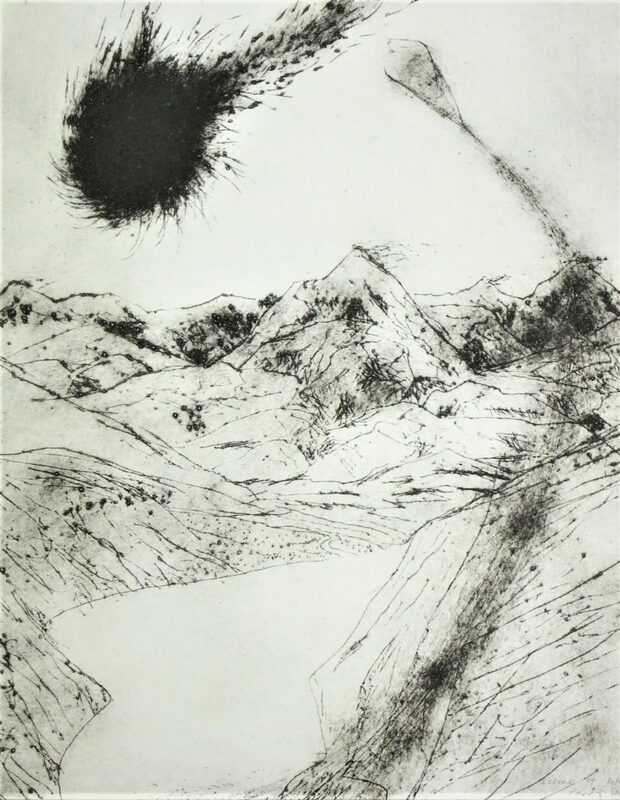 Set in the raw landscape of New Zealand’s South Island high country, these works confront the viewer in an intense flood of furry incisions washed with gravelly tones. 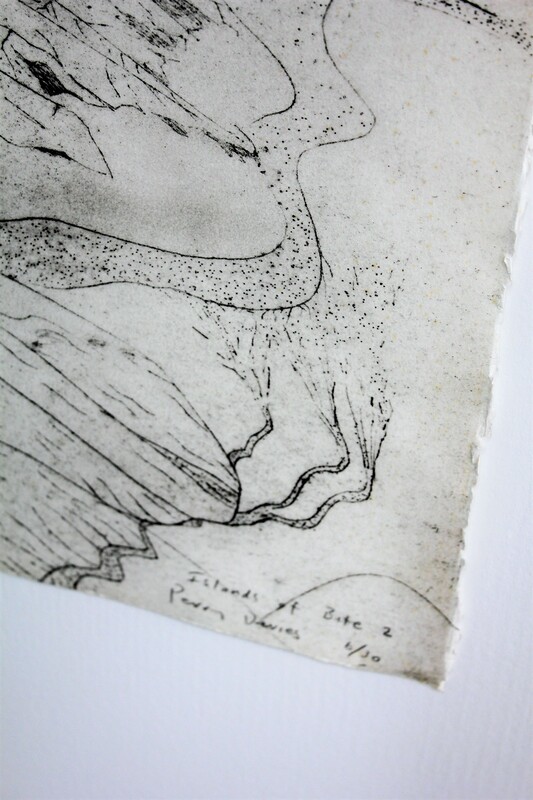 They are collographs – printed from textured and scratched board onto 300gsm Fabriano printmaking paper. 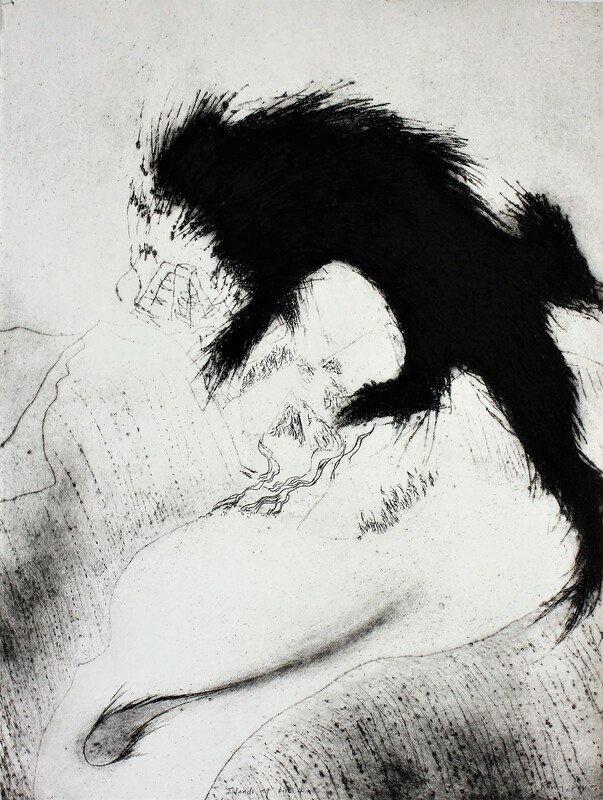 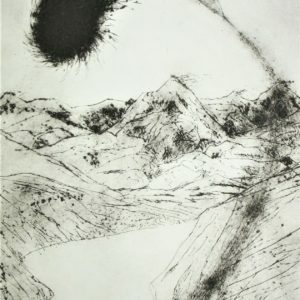 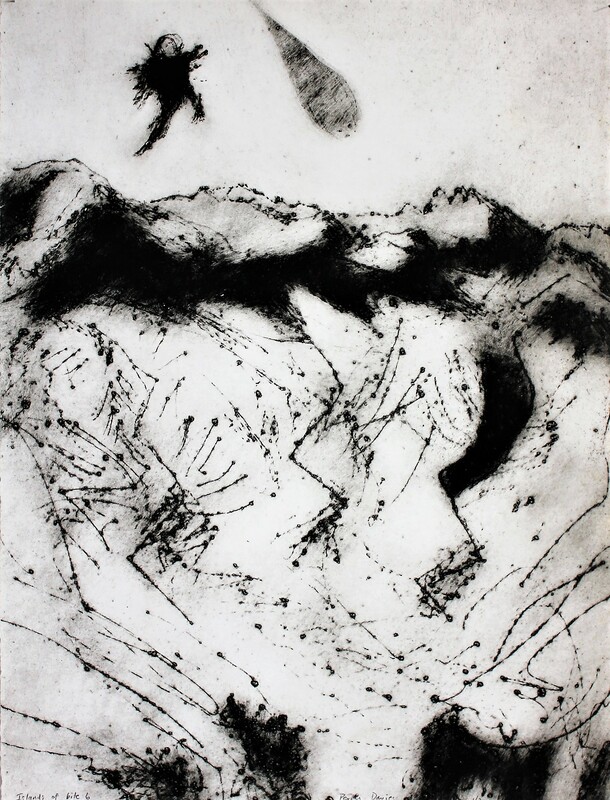 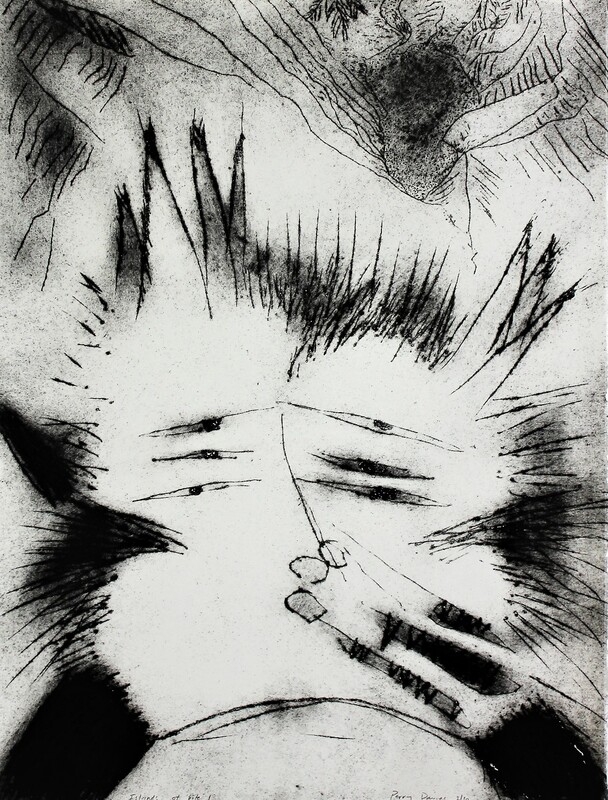 Davies exhibited his printmaking between 1984 and 1994, both within New Zealand and overseas. 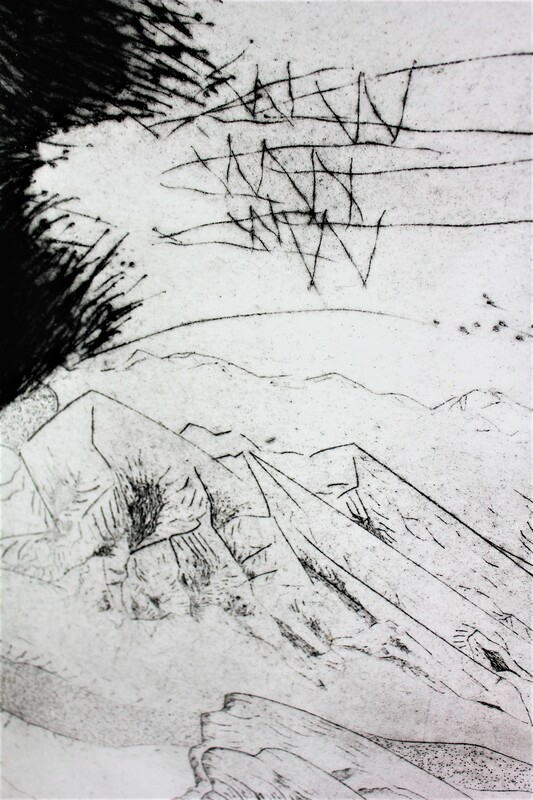 He was a tutor at the ASA School of Art in Auckland. 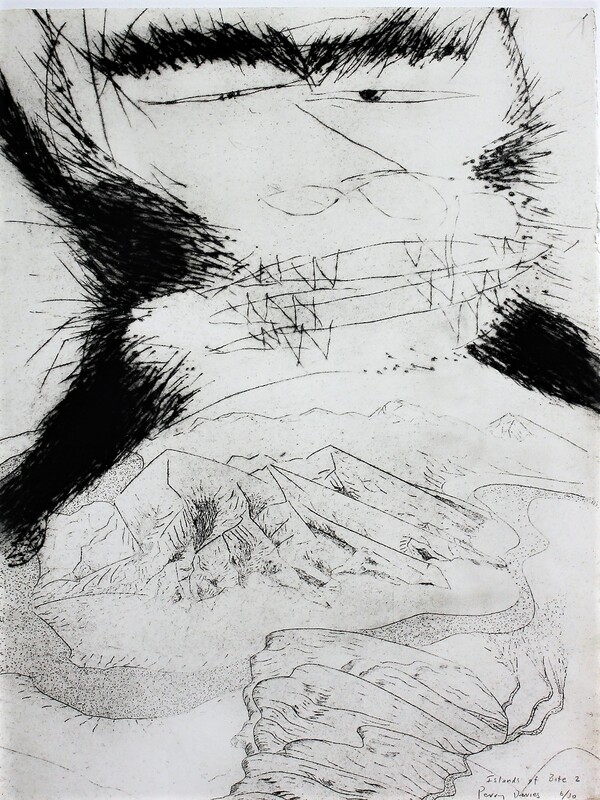 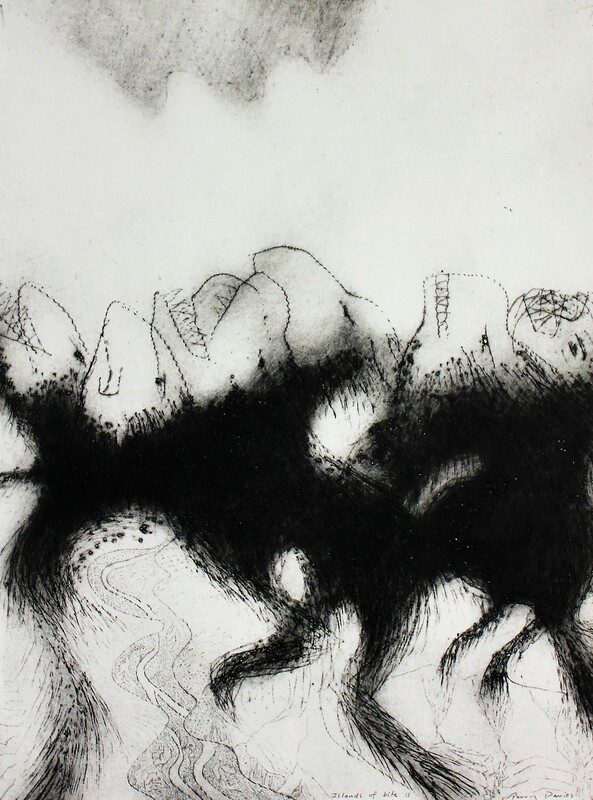 In 1986 he was the recipient of the Bank of New Zealand National Print Award. 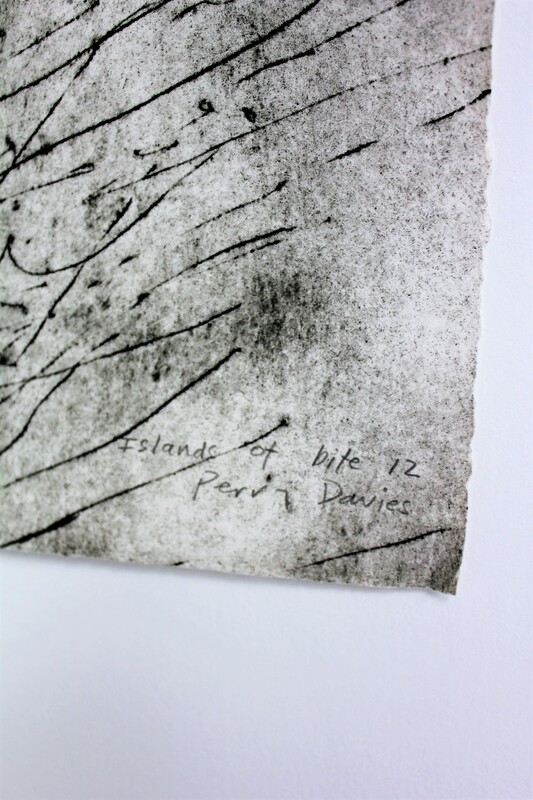 Works are all titled, ‘Islands of Bite’ and are numbered accordingly below. 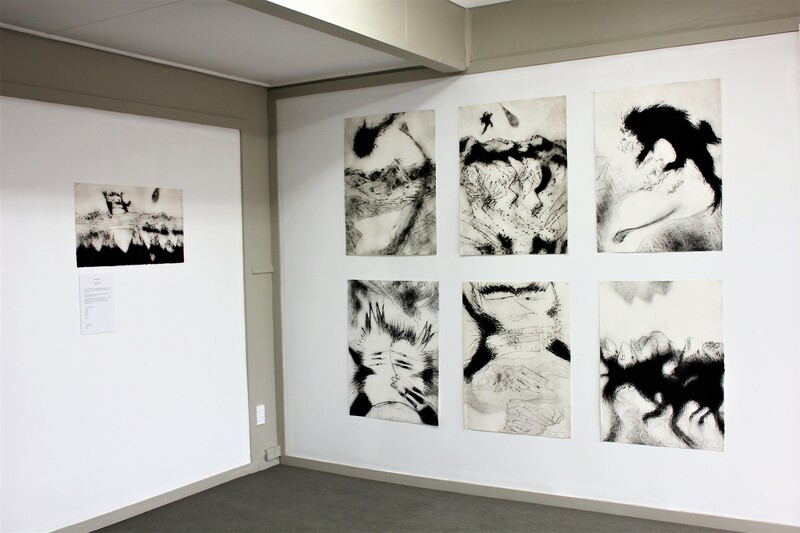 The larger works are 60 x 80cm and are $300 each, the smaller work, 71 x 30cm, $270. 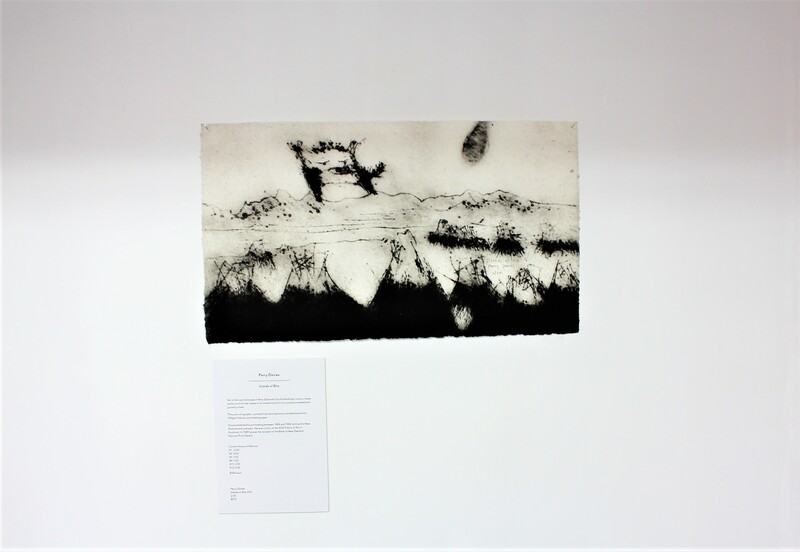 The prints are collographs, printed in an edition of 30, on 300gsm Fabriano printmaking paper.